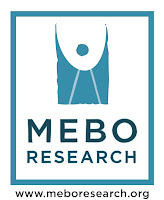 The MEBO TMAU test program has been temporarily suspended for a few months, possibly late February or early March 2016, due to construction delays. The electrical power must be turned off during construction, and consequently, it will not be possible to safely store samples. A notice will be posted in this blog as soon as the program is reinstated, and a link to the application will be posted on the right sidebar of this blog. Please excuse any inconvenience this may have caused.